The amusing 3D based on “Metal Gear Online” has been the star of the last AOU Expo in Japan. Metal Gear’s lovers will get one of the best news, their favorite game has not only been widely improved, but also 3d glasses with head tracking to keep the game’s atmosphere even more real are coming to the market . 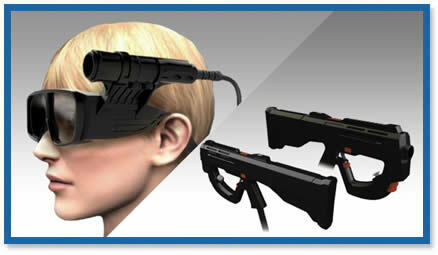 It seems a bit ostentatious, but if we consider that this will allow the fans of Metal Gear and other similar games to virtually immerse you into the game, it might be worth it, since it incorporates all that’s necessary to recreate the atmosphere: a 3D helmet, head-tracking and surrounding sound speaker system 5.1 with incorporated microphone. There are no details of its coming to the market, availability and least of all price, since it has been recently introduced in the AOU Expo, the Japanese event, so we will have to wait before dumping our current game consoles.